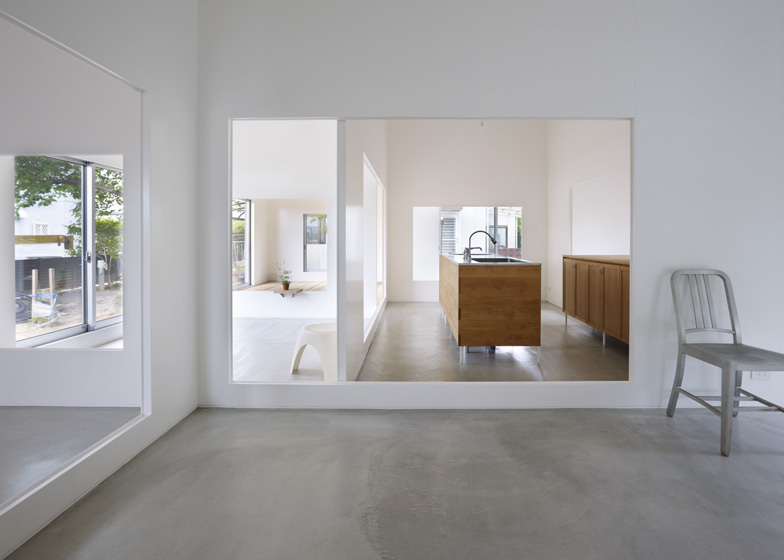 Residents can step through holes in the walls inside this house in Japan by architects Atelier Cube (+ slideshow). 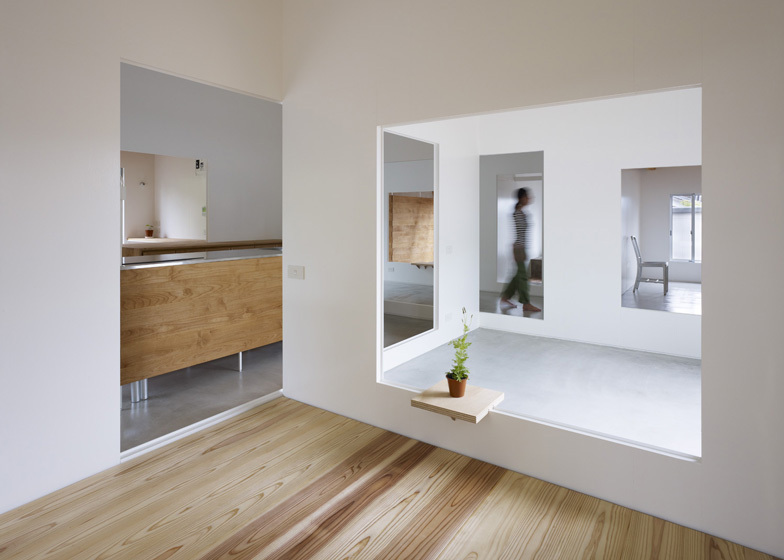 The large rectangular openings frame views of adjacent rooms and also create ledges for small wooden shelves. 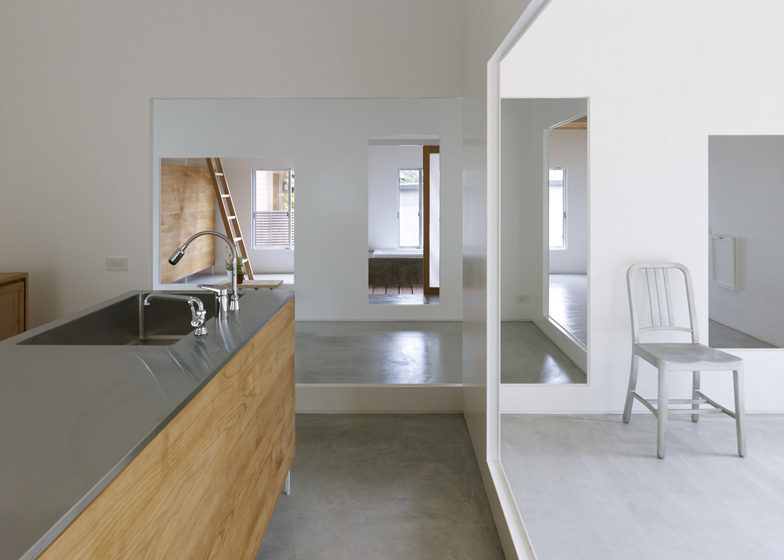 A wooden platform covers the floor in the dining room, while floors in all other rooms are concrete. The house was completed last year and provides a home for a family of three. 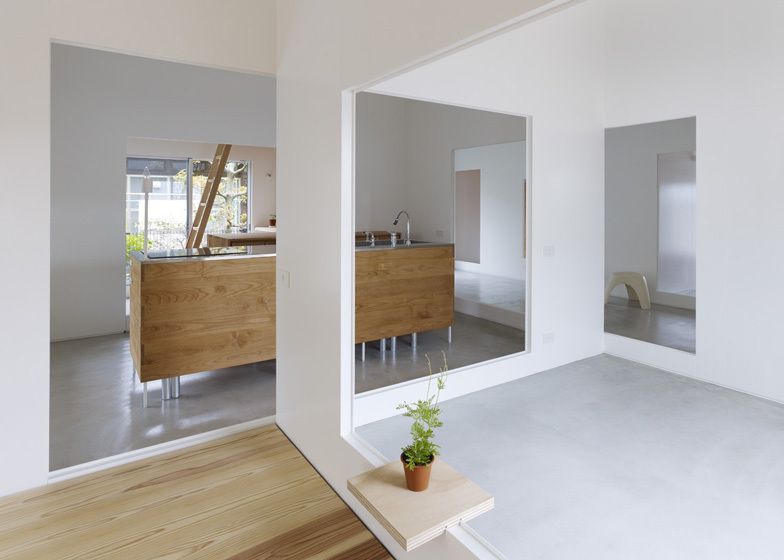 See more stories about Japanese houses here, including one with a courtyard that climbs over a roof. This is a house for a couple and their child. I visited the site for the first time some years ago. The plot was part of the garden of the main house. It was mostly covered by a lawn and there were several fruit trees and a cherry tree. It was a placid, gentle and comfortable garden. The owner wished to enjoy drinking coffee in various places in the new house, just as he could do in the garden by moving a chair to his favourite spot. We aimed to create a gentle architecture which opposed insistence but welcomed living. 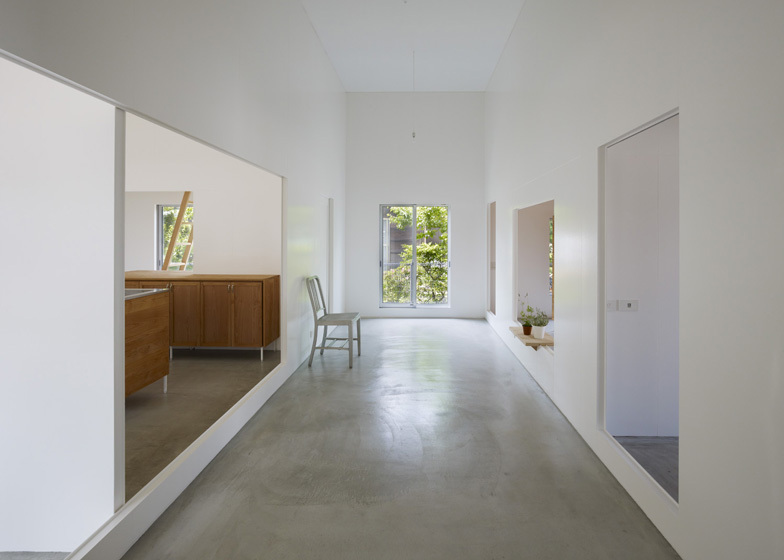 The outer surroundings can be seen through openings in the partition walls which finely divide the space. Rather than a big view of landscape, the scenery is the light and air of Amagi. 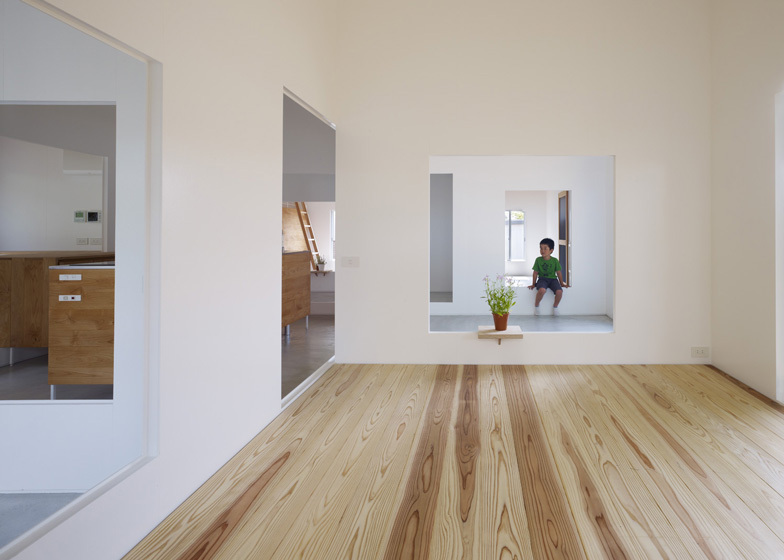 Together with the cherry tree, this house has become architecturally very gentle.